Great thanks Gebstadter! These difficulty flags are gonna haunt me forever. Can't boom cope with 0-sided lines? I may add sectors to them if it's as simple as that. Key is not supposed to be reachable yet, player will have to press four switches (one is present in what I uploaded) moving the key by 32 units each. I think I may easily sped up the process of bars lowering. It would be definitely better without delay. That bug does suggest a neat gimmick for a map: teleporters that take you to different places depending on the difficulty level. Playing on easy? Teleporter takes you to a Megasphere. Playing on hard? Telefrag a bunch of barrels and die terribly. "The Overkill" was really enjoyable, too. Interesting mix of rock, tech and hell, and I liked the music. The one point of critique I could give is that on UV, it's really tough, especially when you have to take on three barons and an arch-vile with just a shotgun. There's also not enough ammo to kill all monsters on UV, because the arch-viles resurrect monsters faster than you can kill them with only a shotgun. Still, with some polish on the gameplay, this'll is a great map. 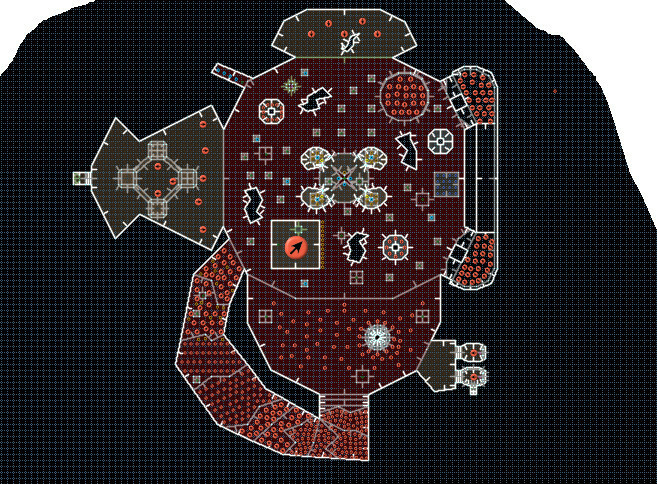 I also decided to place Dragonsbrethren unnamed tech base in map slot 8, because for some reason I felt it fits there. If you want me to move it to another slot, just give a holler, Dragonsbrethren! Let me know if you find a name for your map, too. So, that's seven completed maps. That makes 7/32. We've passed the 25%! Please let me know if this one has better UV difficulty or not, if you have the time! By the way, what is this wad going for difficulty wise? It's not going to be a set of slaughter maps, is it? I don't know. My map is more a survival-ish type of map, with limited ammo. Every mapper can make his or her map as difficult as he or she wants. 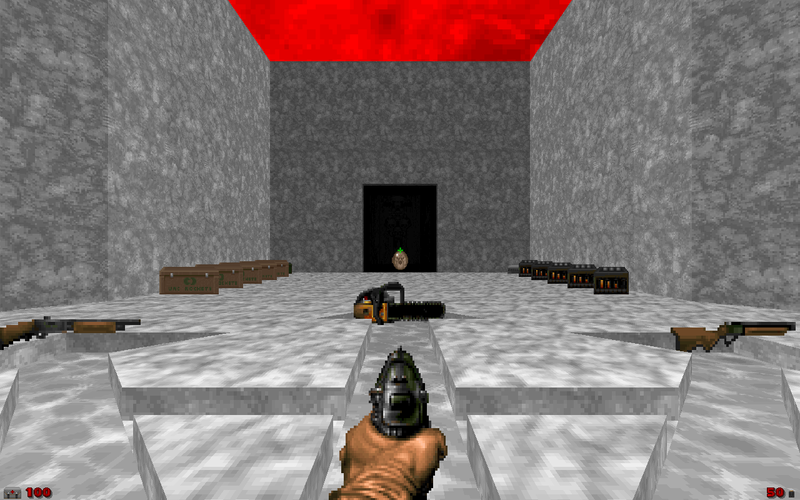 If you don't want to make a slaughter map, then don't make one. If you do, then do. Some of the maps I've gotten so far have been slaughter, most however were of normal difficulty. My map won't be a slaughter one either. Okay thanks for the quick reply. 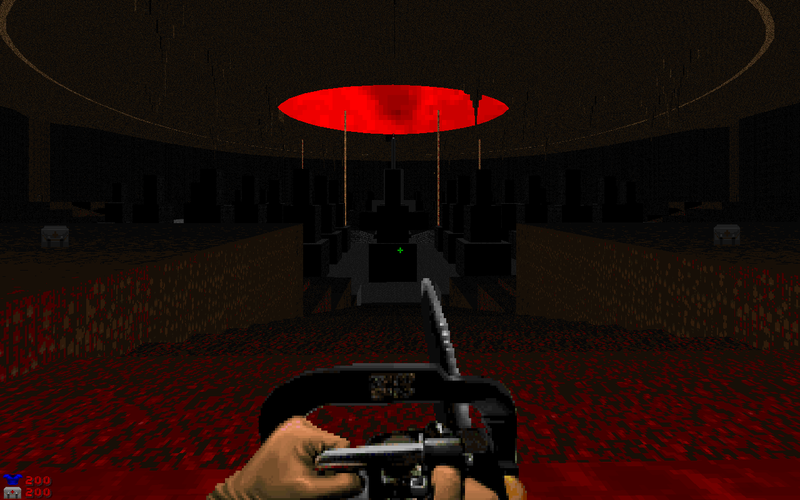 Sorry if that question made me sound like a jerk- after rereading it I think it came off the wrong way; I dont mind playing slaughter maps all that much but making slaughtermaps is not my cup of tea. Again, my apologies for that post. I'm still working on map 24's main room (similar to the cave themed maps with a huge main room with some caged monsters and such). 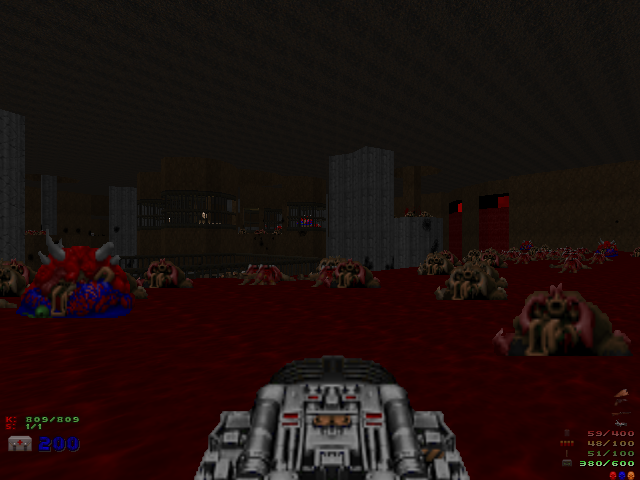 I haven't made a slaughter map before so I'm working very carefully on this one, hopefully that it will be fun and a bit challenging. edit: I'll call my map "Bloody Hell". I'm pondering to make another E1 map. The name for MAP32 is "Den Of Vespera"
Bloody Hell looks great! I love Final Frontier and Post Morten-ish levels. Den of Vespera was much fun, too! Clever beginning with that Arch-Vile. Nicely balanced difficulty, great secrets, and a short but to the point layout. Very sweet map. Really liking everything we've got so far. Let's keep up the good work, we've got 1/4 of the golden 32! 3. 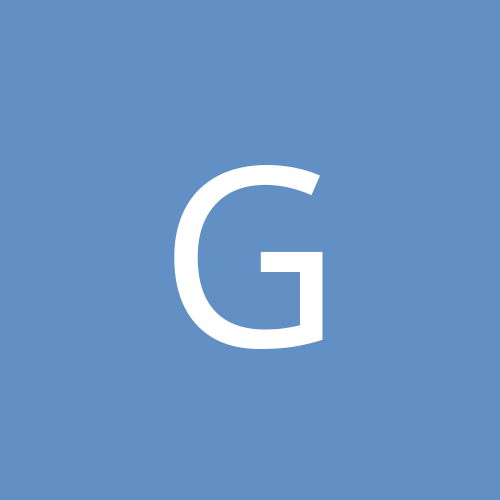 Put the image link between IMG and /IMG, each in  brackets. edit: atch, seems that the pics are too much huge... maybe i need to resize them? also, i need to add some details to the starting room... it feels too empty. Maybe I'll expand the map's air force, 9 pain elementals in a bfg slaugther map won't deal such a huge damage, 30 pain elementals should produce enough lost souls. P.S: most of the huge monsters wave in the bottom is imps&demons guarding like 35 revenants and your path to the red&yellow door. Anyway, I'm also thinking of claiming a new slot but I don't know yet, which one. Maybe I wait until the weekend. 30 pain elementals should produce enough lost souls. Is everybody happy with my updated map that I posted? since i am not a very good player, i don't know, now is surely a lot easyer, i can even complete the UV :P; the second room is a little underpopulated in uv (the one where you put the SSG), the ammo is balanced enougth to shoot down what the vile rise up , and i don't even needed more ammo. oddly the HMP is much more difficult than the UV, i can't truly tell why, but i died a lot of times in hmp. (IMHO, 4 hell knights are way to much challenging than 2 barons of hell in open spaces and some more hitscannes in a medium distance can weaken you a lot, barons are only ammo consuming, not very difficult to handle [always IMHO]). The second room (the long hallway) only has a SSG in UV, because else it would be waaay too hard IMO. On lower difficulty the SSG is in the third room (the blue key room). Playtesting "Bloody Hell" on uv was fun :D oh well 230 revived monsters&pain elemental's lost souls, not bad I guess. This slaugther map should be fun since there's plenty of health&ammo, I made a big sector with 16 soul spheres and I used only 6 or 7 so I'll probably replace half with green or blue armors (I died so many times because of the lack of armor. And now the most annoying part: difficulty settings. 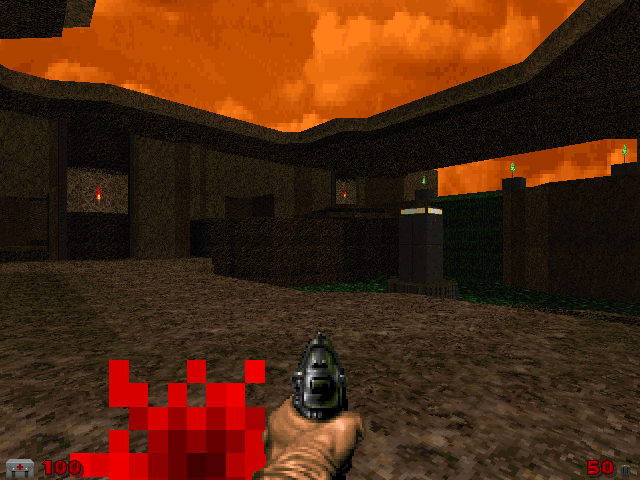 Since the doomguy is almost 20 years experienced I didn't bother making damaging sectors in this map, after diehard, the living end, the final frontier and all these cave maps the doomguy should be able to survive in these bloody areas. I forgot to import the texture pack with slade this time so don't forget the texture pack's file when you play the map. Thanks! Curious if there's any reason you suggested reordering things? While I am no longer planning on making maps for the project, I am still willing to be a playtester. Can I playtest for you and then share my thoughts/feedback to you? The arch vile part is really challenging, I got the inspiration from scythe 2 map 24 (the part where you hit the switch and a huge wave of revenants, arch viles and mancubus are joining the party). EDIT: here is the fixed version of my map, there are no longer 2 yellow keys and the yellow key on the sector which is lowered was replaced by a blue key. @Keeper Of Jericho, the version that I sent to your email is the old version so the download link here contains the current version of my map. You can also give my map a go if you want. The download link is at the top of this page. Also, perhaps you are willing to playtest a pwad that I am working on while I playtest yours?